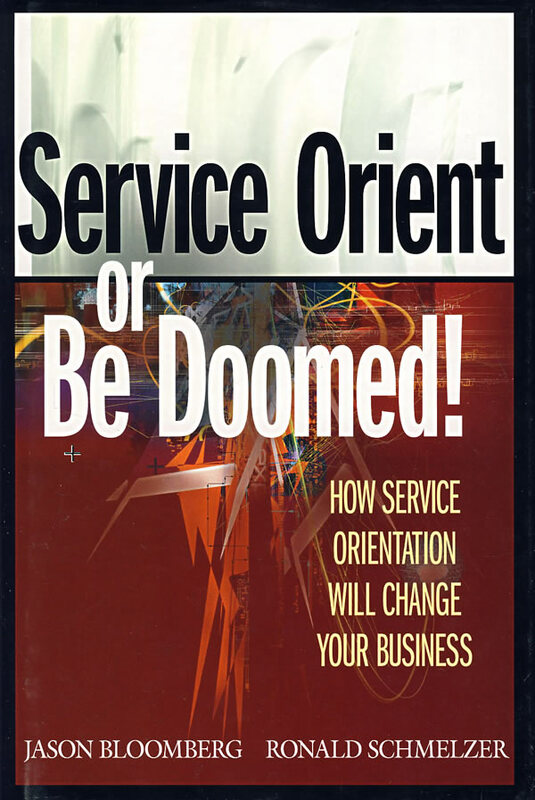 书籍简介: Authors Jason Bloomberg and Ronald Schmelzer-senior analysts for highly respected IT advisory and analysis firm ZapThink-say it all in the title of their new book, Service Orient or Be Doomed! : How Service Orientation Will Change Your Business. That is, if you fail to service orient your company, you will fail in competing with the organizations that do. This provocative new book takes service orientation out of its more familiar technological surroundings within service-oriented architecture and introduces it as a philosophy that advocates its rightful place within a business context, redefining it as a new way of thinking about organizing your business and its processes. Informal, challenging, and intelligent in style, Service Orient or Be Doomed! : How Service Orientation Will Change Your Business shows you how you can best use technology resources to meet your company's business goals and empower your company to go from \\\\\\\\\\\\\\\\\\\\\\\\\\\\\\\\\\\\\\\\\\\\\\\\\\\\\\\\\\\\\\\\\\\\\\\\\\\\\\\\\\\\\\\\"stuck\\\\\\\\\\\\\\\\\\\\\\\\\\\\\\\\\\\\\\\\\\\\\\\\\\\\\\\\\\\\\\\\\\\\\\\\\\\\\\\\\\\\\\\\" to \\\\\\\\\\\\\\\\\\\\\\\\\\\\\\\\\\\\\\\\\\\\\\\\\\\\\\\\\\\\\\\\\\\\\\\\\\\\\\\\\\\\\\\\"competitive.\\\\\\\\\\\\\\\\\\\\\\\\\\\\\\\\\\\\\\\\\\\\\\\\\\\\\\\\\\\\\\\\\\\\\\\\\\\\\\\\\\\\\\\\"
作者简介：Jason Bloomberg (Uxbridge, MA), ZapThink senior analyst, has a diverse background in eBusiness technology management and industry analysis, including serving as a senior analyst in IDC's eBusiness Advisory group, as well as holding eBusiness management positions at USWeb/CKS (later marchFIRST) and WaveBend Solutions (now Hitachi Consulting). He has a bachelor's degree in physics from Pomona College, and Masters degrees in mathematics and history & philosophy of science from the University of Pittsburgh.